The Star Spacer was designed by Kim Stevens, an occupational therapist with over 22 years of experience working with children in a school setting. Difficulty with handwriting is one of the most common reasons that school children are referred to an occupational therapist. Students want to share their thoughts and ideas; however, when handwriting is difficult, they can easily become frustrated. 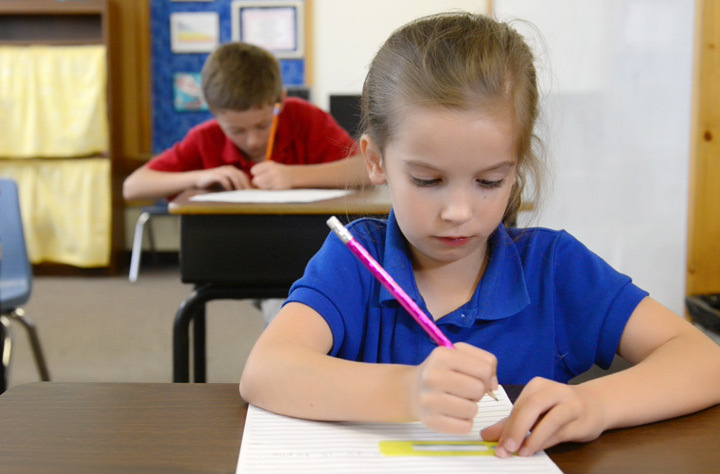 Some children are reluctant to write, while others refuse writing assignments completely. Frustration can lead to problems in the classroom and at home. Frustration can also lead to problems with behavior and self-esteem. Over the years, Kim has worked with many students using various tools and strategies to help with handwriting. One day, when working with a child who found handwriting to be very challenging, Kim had an idea that eventually led to the Star Spacer. The child caught on immediately, and his very first sentence using the makeshift handwriting tool was entirely legible. Surprised by the results, Kim made adjustments to the handwriting tool and began using it with other students. She made more spacers and gave them to teachers, asking for feedback. The results and responses were so positive that she gave the tool the name “Star Spacer” and decided to make it available to other young, struggling writers. Kim found that the Star Spacer helps children produce better writing. And by producing better writing, the Star Spacer helps to build confidence. 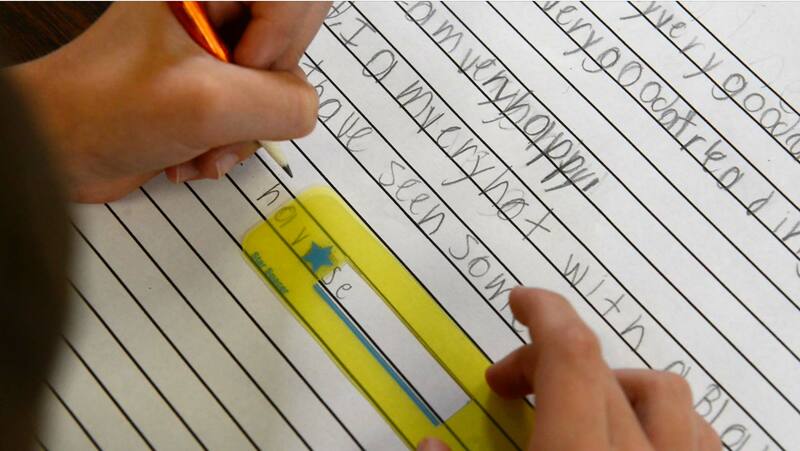 That is the goal of the Star Spacer: to build confidence in children by helping them create better handwriting. Better writing builds confidence.